LOBO Fans Rejoice. Now you will be able to see even more of your Lobos AND all MWC teams on DIRECTV! 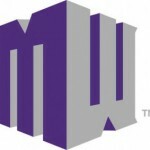 The Mountain West Conference and ESPN have announced a new deal that will give Lobo fans and fans around the Mountain West the opportunity to see 16 more MWC football games and 31 more basketball games per season through the 2019-2020 season. Games will be broadcast on ESPN (Channel 206 on DIRECTV), ESPN News (Channel 207), ESPNU (Channel 208), ESPN2 (Channel 209), or ABC (Channel 7 on DIRECTV in Albuquerque). Combined with the deals the MWC reached with CBS to broadcast up to 15 football games and and a similar number of basketball games trough the 2015-2016 season and Root Sports (Channel 683 on DIRECTV) to show an additional 14 basketball games per season, Lobo fans will be able to see more Mountain West football and basketball games on DIRECTV than ever before.